Hello Bike Commuters! It has been a while since I posted, but things have changed quite a bit. Unfortunately I am no longer doing the Bike-Train commute thing, I am really bummed about that. I used to take the train so I would avoid spending up to an hour and a half stuck in traffic but now I have a carpool buddy and that has reduced my commute time to about 40 minutes. This meant that I no longer needed my Giant Expressway folding bike so it was sold to a person who travels by plane and needed a bike to get around town. I gave “Gravel” riding a try with my old 26″ Hard tail mountain bike but I was not able to keep up with riders with fancy Gravel/CX bikes and 29rs. New Gravel/Adventure bikes start about $900 so I started perusing Craigslist to see if I could score a cheap gravel bike. And there it was…. a Raleigh Bikes Preston Classic City Bike, a vintage looking bike with modern parts and a copper finished handlebar! So I started searching for a local bike shop that may have it in stock -No Dice. 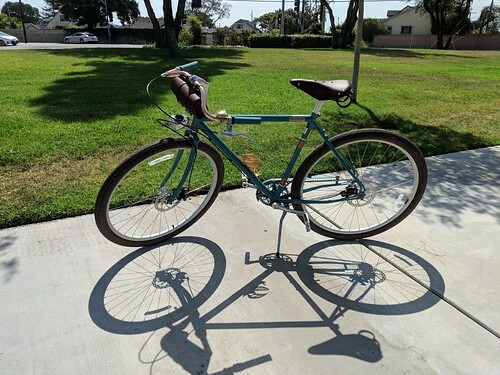 I noticed that Raleigh was selling this bike in Amazon.com for about $395 (cheaper than their own site and around the same price as a used one). I did not buy it right away, my budget was about $200 so it was over my budget. Amazon does this thing that if you leave an item in your cart it will tell you if an item has gone down or up in price if when you go back to your cart. 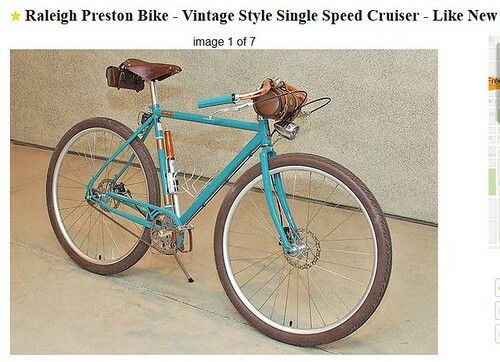 I checked my cart periodically and lo and behold the Raleigh Preston was selling for $295! That was still $95 over my budget but I remembered that I had an Amazon gift card and points accumulated on a credit card. I went ahead and pulled the trigger, the gravel bike will wait. So how was the Amazon experience? The bike arrived 3 days after I purchased it and assembling the bike with the tools that Raleigh provided was a breeze. 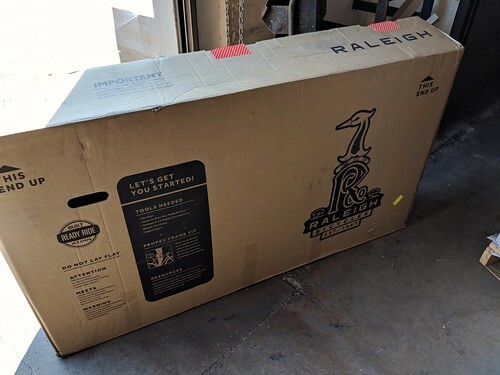 You don’t have to be a bike mechanic to assemble this bike so save yourself the $80 assembly fee if you consider purchasing a Raleigh bike from Amazon. 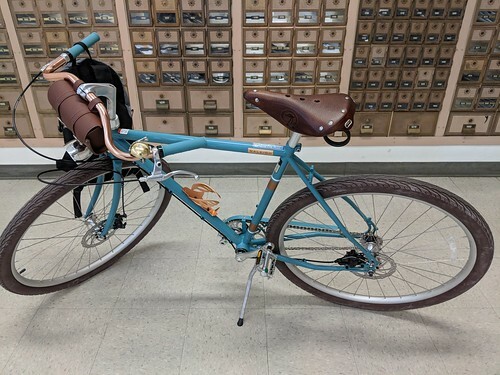 The only thing that was disappointing was that the bike arrived a little scratched up, this is not Amazon’s fault but if the Raleigh folks are reading this; please put extra padding on the top tube!!! So far I’ve done errands on this bike and it gets a lot of looks and thumbs up, I can’t wait to take this bike to the beach! 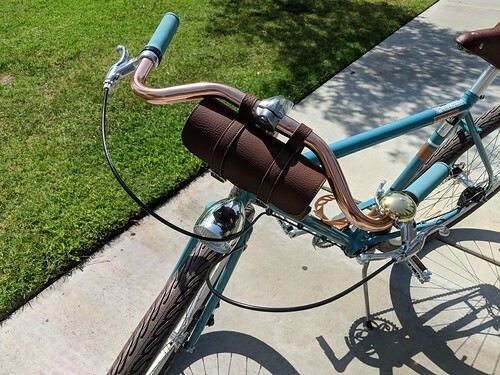 Love that copper handlebar. Spiffy!